Taggert’s Camp was a popular stop on Highway 30 through Weber Canyon before the use of present-day Interstate 84. 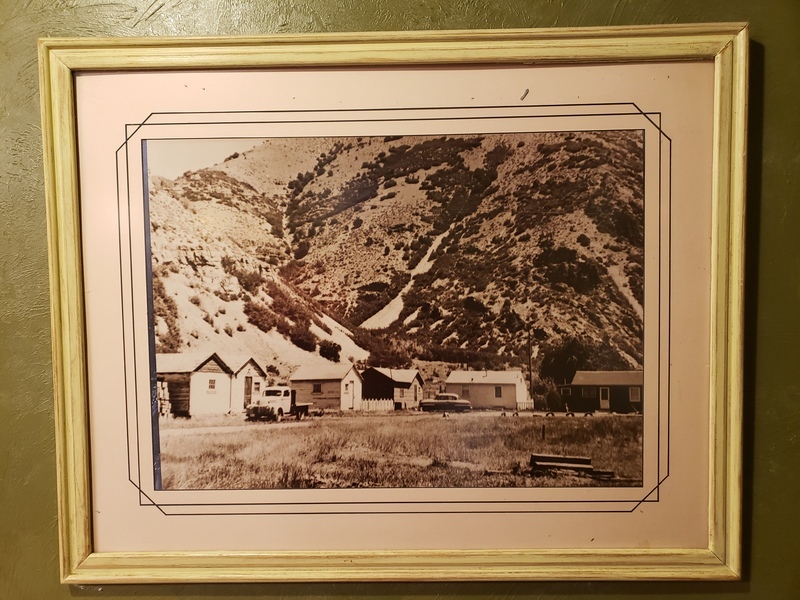 In 1923, George Albert Taggert and his wife Mabel Shurtliff bought an area five miles east of Morgan, Utah nestled in a canyon of the Rocky Mountains near the Weber River. It was originally known as Sharps Flat and owned by the Union Pacific Railroad. Around 1936 their sons Albert Dewey and Howard started a collection of businesses on the land. The brothers both married sisters Queena and Margaret Wadsworth in the late 1920s. Each couple had children who survived them after death. The businesses that they started came to be known as Taggart Brothers or Taggart’s Camp. Taggart’s Camp started off small, but grew and gained popularity. It was first just a service station for cars passing through along Highway 30. They soon added a soda fountain and grill, and eventually a grocery store. The camp did not stop there. One room cabins were also built for rent to travelers visiting or passing through the Rocky Mountains, eventually numbering 14. 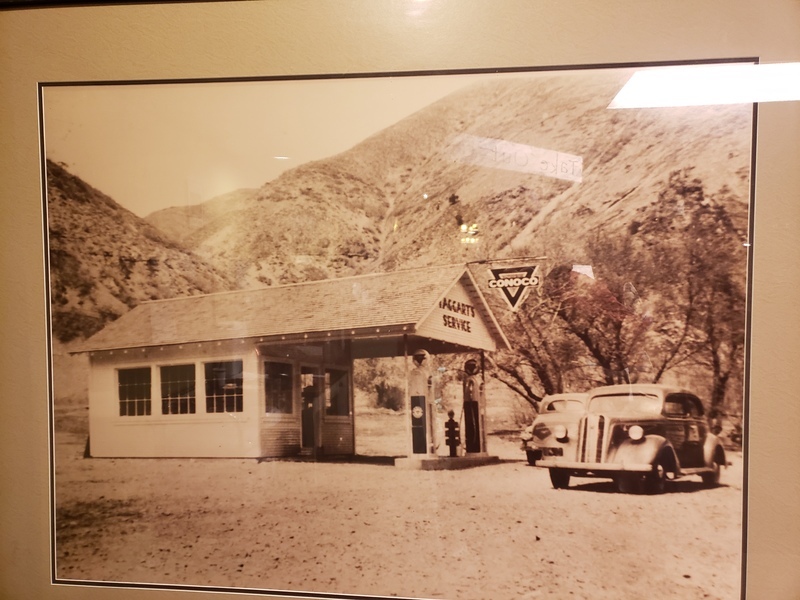 In 1947, when the Ideal Cement company built a new facility in the canyon, all of the cabins were rented to construction workers and The Flat was filled with mobile homes of employees Family members continued to operate the service station through the 1960s. However, what is now known as Interstate 84, which stretches from Oregon to Utah, cut straight through Taggart’s Camp. The cabins, grocery store, and service station were all shut down. The 7-mile stretch of Interstate 84 (originally Interstate 80) from Henefer to Echo Junction was opened by 1969. While the closure of Taggart’s Camp was disheartening for many Morgan residents, the legacy of the Camp lives on. 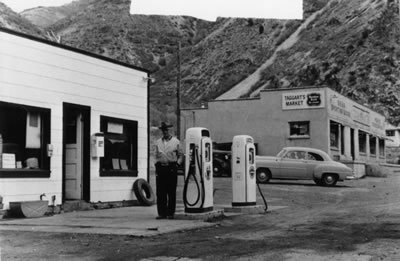 In 1996, Elaine Stoddard bought the abandoned gas station and turned it into a convenience store servicing fishers, tourists looking at Devil’s Slide, and river runners coming off the Weber River. About 2002, she turned it into a restaurant which she sold to Steve and Lori Tuttle just two years later. 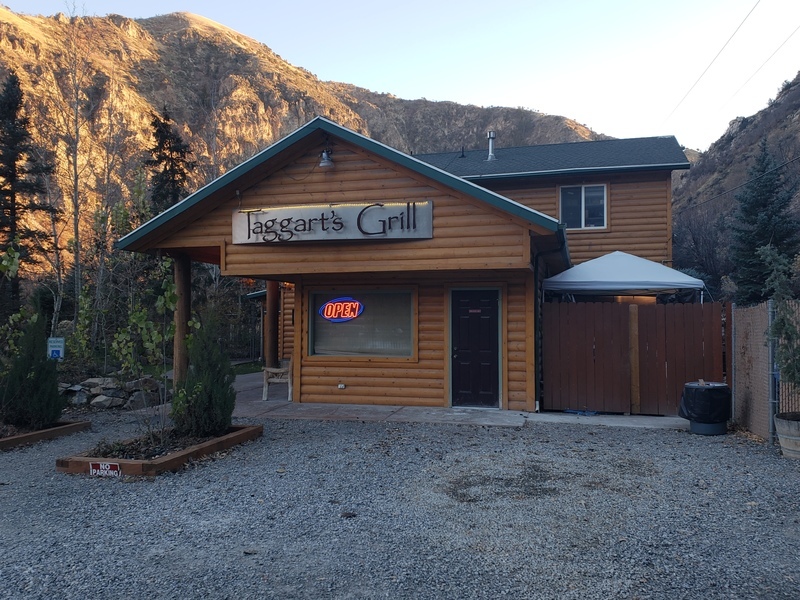 Taggart’s Grill is beloved by many locals and many regulars from all around northern Utah. It would have been beloved by both Dewey and Howard, proud that the family name has continued to mark a place in Utah. The service station at Taggert’s Camp ~ Source: Taggart Family Newsletter website, available at http://www.taggartfamily.org. 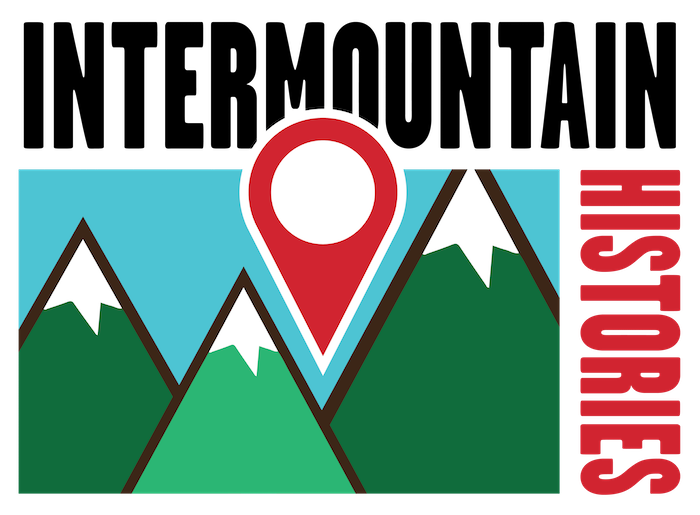 ,” Intermountain Histories, accessed April 20, 2019, https://www.intermountainhistories.org/items/show/267. AA Roads. Interstate 84 website, available at https://www.aaroads.com/guides/i-084-ut/. Benson, Lee. Deseret News, “About Utah: Taggart’s Grill -- Everybody’s Secret,” 7 November 2016. Smith, Linda H. A History of Morgan County. Salt Lake City: Utah State Historical Society, 1999.